We are already three weeks into the new year and most of us have probably already been thinking about the travels we would like to squeeze into our schedule this year. Unfortunately, most of the time it’s not the time we’re lacking, but the money. 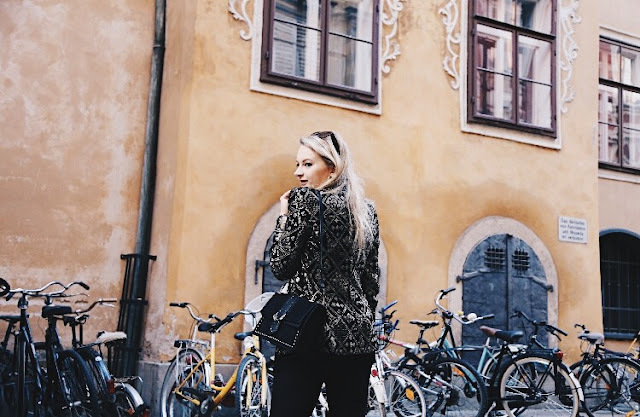 Especially when you’re young you’d just love to take on the world and visit a new country everyday but we all know how challenging it is to save up money for a single trip, especially when it additionally involves plane ticket. Today I want to show you how I calculate my budget and how I decide, which destinations to add to my travel plan and where to find great deals. 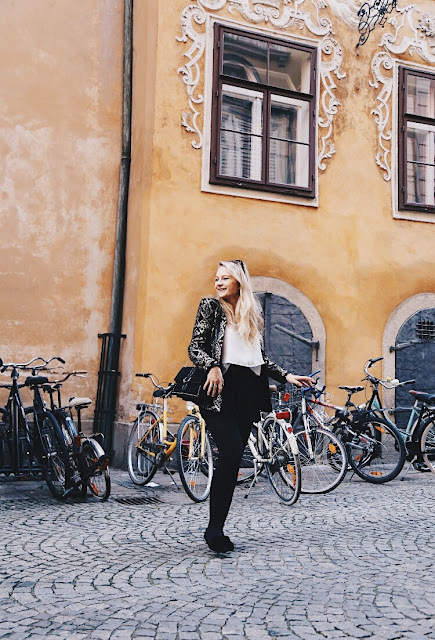 Obviously, travel budgets vary from person to person, depending on if someone’s still a student or already working full-time, living alone or still at one’s parents’ house. But I believe saving money when travelling is something every young person would like to do. What I tend to do is keep track of my income and expenses and calculate the average expenses I have every month, including rent, food, car insurance and petrol as well as all the bills that need to be paid. Depending on how much is left for you individually, I recommend thinking of a certain amount of money you can spare each month to put aside for travels (or really any other thing you want to save up for). I personally, depending on other expenses that might occur in a month, try to put aside 100 to 200 Euro a month just for travelling, especially when I know that I want to go to a destination far from home. By putting away money in a consistent manner, you will increase your travel budget month by month almost unnoticed and it won’t feel as bad on your bank account once you pay for flights, hotels, hostels or bus and train tickets. I also tend to put the money I am gifted for Christmas or my birthday aside, as it’s another really good addition to your travel bank. A fun motivation to save up for me is putting the money into fun, lockable money boxes as looking at them everyday encourages me to really pull through and not take the money out to use it for something else. I recommend emptying it every couple months though for rather obvious reasons. No one should have such a big bulk of money lying around in their home. Choose your travel time wisely. As I am already working full time, the time I am able to go on holiday is rather limited, which is why I need to choose my travel destinations and the dates I am going wisely. I tend to plan one or two bigger holidays a year, depending where I am going, and sneak in a couple weekend getaways more spontaneously. The time you travel definitely does make a difference when going abroad, especially when visiting countries who mainly depend on tourism. When travelling to a hot country such as Egypt, Greece or Dubai, it definitely makes sense to choose a date outside the main season as flights are cheaper and hotels often have special offers during that time to fill their rooms. The best time during off season are probably the weeks before and after main season as the weather can still be expected to be warm and pleasant but the prices will have dropped by a lot already and can save you a lot of money. I know that choosing such travel dates is sometimes difficult due to uni or school but when I was at uni and knew I was going on holiday during a normal uni week, I tried to not miss class any other time during the semester so being away or twice was considered absolutely acceptable. Make the most of your holidays. In Austria people who work full time usually have 25 days of holidays they can use throughout the year. What I tend to do is take a close look at the calendar each January to figure out how to place my holidays best and get the most out of the five weeks of holidays. Obviously, arranging your holidays needs to be properly accommodated with your colleagues but usually it is not difficult to find an agreement. When placed between a national holiday and the weekend, one can therefore easily get a week of holiday out of three days off work. Especially in Europe, flights have become very affordable in the last couple years due to the amount of low budget carriers flying to destinations all across the continent. When looking for flights I always tend to use websites such as checkfelix.com to compare prices and figure out the best time to travel as their calendar offers a feature showing you days with the lowest prices. This has saved me a high amount of money when travelling by plane. Set yourself a Budget for your trip. Even though planning a trip beforehand is already highly important, setting yourself a limit when travelling is even more important. It happens too easily that one loses track of the expenses ones they are abroad and come back having spent a lot more money than priorly anticipated. Which is why I suggest that it is important to inform yourself well about the prices in terms of food and drinks, as well as the entry fees of attraction you want to visit at your travel destination. This will give you an overview and an idea how much money you’ll need once you have reached your destination and will prevent you from experiencing bad surprises that would have been avoidable. Calculate a certain amount of money you will approximately need to cover daily needs such as food and drinks and you won’t be ending up spending more money than you actually want (and have). 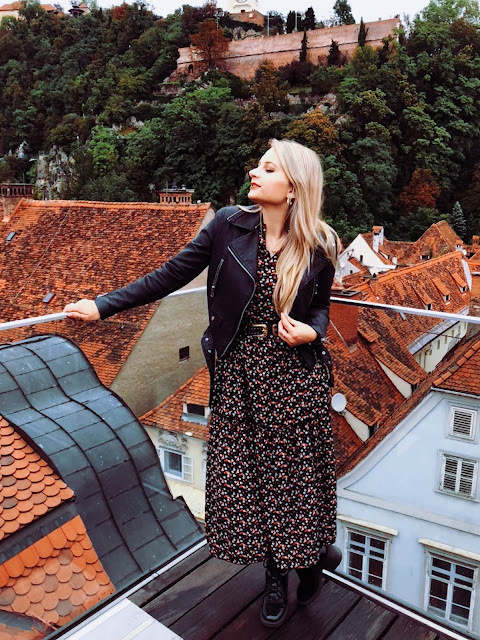 At the end of the day each person has their individual way of saving up for travels and I am just sharing tips and tricks I use to be able to get around the world as much as possible during the year. Christmas is my favourite time of the entire year. The world turns into a magical place filled with lights, incredible scents and a wondrous feeling of peace. Love, joy and happiness lingers in the air and even though it sounds cliché, one can really see how people change during Christmas season. Even though commerce and capitalism have cast a shadow on this peaceful season during the last decades, the most important thing about Christmas has fortunately not been forgotten. Most of the year, people find themselves trapped in hectic routines, dealing with challenges, sorrows and pain but somehow all of this gets pushed aside for a tiny little while, while people simply enjoy each other’s company, spend time with their loved ones and let joy take over their stressful lives for once. 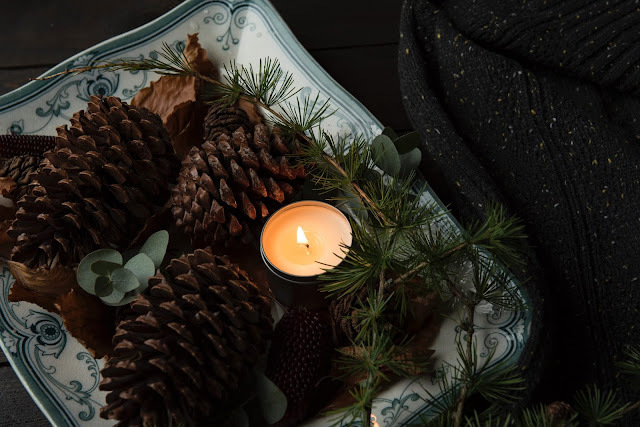 Many of us have the luxury to really be able to enjoy the festive season to the fullest and are surrounded by the ones closest to our hearts but it shouldn’t be forgotten that a large group of people can’t celebrate Christmas the way they'd wish to. And as Christmas is the time of giving and sharing, I think it’s important that we who are privileged enough to spend this season the way we imagine, share a spark of our joy and happiness in order to make others happy – even if it’s only for a short moment. Four Tiny Ways to Make a Stranger Happy. As a coffee lover I enjoy spending my spare time meeting friends at coffee shops to catch up and spend some quality time. Next time you grab your favourite hot drink at your local coffeeshop, ask the barista what the customer after your ordered and tell them you want to pay their order as well. Believe me, they will be delighted hearing, that they got a coffee for free and it will make you feel amazing, knowing you have done a good deed. It’s such a simple and affordable gesture that can make another person’s day. Leave your valid bus ticket at the ticket machine. As I usually use my bike to get around, I barely ever use public transport. Whenever I do, I have to take a ticket that’s valid for an hour. As I barely ever max out the time the ticket is valid, I always leave it at the ticket machine in order for someone else to find it and use it without having to pay. That way, someone gets a ride for free and is certainly happy about it and the ticket gets used to its maximum. This might seem like such a natural and obvious gesture but I have witnessed people smashing the door into other people’s faces so often that I feel like it deserves to be mentioned in my list as well. Holding the door open for someone sometimes really has a more positive effect on the other person than one might actually expect. Especially elderly people generally think that the youth was raised without manners, so such a simple gestures might not only prove them wrong but also put a smile on their face. Same thing counts for holding the door of the bus open for someone running towards the bus station. I always feel eternally grateful when someone does that for me. Be kind and make someone still catch their bus. Help a mother with her pram. Let’s be real, mothers are real superheroes. They manage to juggle their daily routine, a household, a job and their children in ways most of us young adults can’t even comprehend. Especially during Christmas time their stress levels are on an all time high due to Christmas shopping, busy streets and crowded spaces. Carrying a pram down annoying shopping centre stair cases while still holding grip of shopping bags and possibly another child is a challenge by itself. To make that mother’s day, you just have to ask if you can help her carry the pram up or down the stairs and I promise, it’ll make their day as such a tiny gesture helps them so much. Same goes for public transport once again, as getting a pram into a bus is often quite difficult as well. Right next to Flann O’Brien’s Pub is a lovely, small Christmas market with the most amazing Secret Santa idea I have ever seen. One can grab a note from one of the market stands and write a small wish and their name and address on it and can hang it on the market’s Christmas tree. Someone else can then grab the note with the wish if they want to and make a stranger happy in the process. I really recommend participating as it is such an amazing way of spreading the Christmas spirit and making a stranger happy. Donate food to animal shelters. Especially during and after Christmas animal shelters are packed with animals who were supposed to be presents but were returned because people realised the responsibility and amount of time and attention a pet needs, is too much for them. Not only do animal shelters run out of space, they also run low on food for the animals a lot of the time. By donating dog and cat food you can help those shelters to feed the animals. SIDE NOTE: DON’T GIFT ANIMALS FOR CHRISTMAS. GETTING A PET SHOULD BE A MUTUAL FAMILY DECISION AND EVERYONE NEEDS TO BE AWARE OF THE RESPONSIBILITY HAVING A PET COMES WITH. SIDE NOT OVER. Donate toys to child care centres and children’s hospitals. Many children have to spend their Christmas away from home or are separated from their families, which is sad and devastating. Many of us still have old toys which are in perfect condition stored in boxes in the attic or the basement. Instead of those items continuing to collect dust on some shelf, pack up the toys that still work and drop them of at a child care centre or a hospital. Inform yourself beforehand if your chosen institution is allowed to accept your donations though so you won’t be disappointed if you’re rejected. By donating toys you can clear out space in your storage and make small children happy on Christmas. Donate food to those who can’t afford a meal. At our supermarkets you can often find boxes right after the checkout where you can drop food such as bread, pasta and other longer lasting items in. Those items are then given to poor families who can’t afford meals or sold at so called “social markets” where food can be purchased for a smaller price. Even though I believe we should spread love and kindness all year round I think that Christmas is the perfect time to support a charity that stands for a cause close to one’s heart. I hope you’re all enjoying the festive season and hope all your dreams come true. Be loving and treat people with kindness. The last couple days all I have been seeing on social media platforms and the broad realms of the word wide web have been Black Friday sales, bloggers sharing codes and affiliate links and websites trying their best to manipulate their customers into buying things most people probably don’t even need on second thought. Consumerism has become dangerously accepted in our society and has turned people into easily impressionable buyers who have forgotten to make conscious purchasing decisions. I am not against Black Friday sales per se, as it is an amazing opportunity to buy gifts for upcoming Christmas or splurge on new items one REALLY needs like new shoes for winter when the old ones are about to fall apart. I do love bargains myself as we all need new items every once in a while but what I highly disagree with is the ways of companies and their marketing strategists trying to convince the general public into thinking that it is essential for people to spend their money just because everything’s on sale. Especially because those apparent low prices often trick people into spending more money than they usually would and they end up regretting their purchases later on when realising that they don’t actually need what they bought. I think it is highly important to use inventions such as Black Friday sales to really consciously think about what we truly need and make responsible decisions when purchasing new goods. There is nothing wrong to make use of sales and maybe land a great deal as we all love to spend money every once in a while to treat ourselves or those we love. But it is essential to prioritise and inform ourselves beforehand and restrict ourselves to the items we really need. 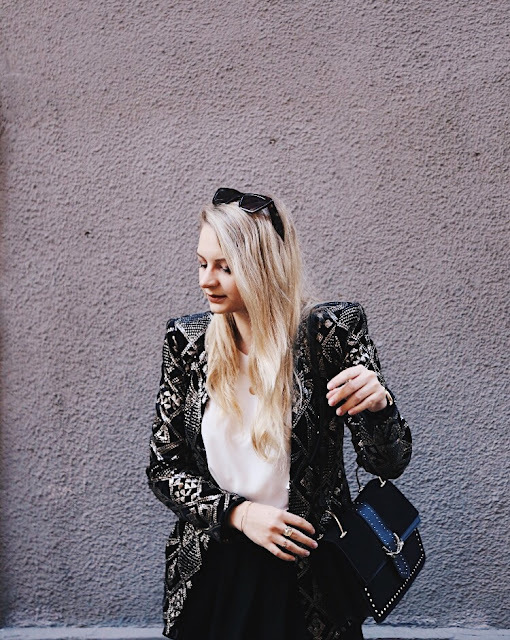 What we need to realise as well is that key and staple pieces in our wardrobe can be combined with all sorts of statement pieces such as faux fur coats or leo print jackets. One outfit can turn into three by changing up only one piece. 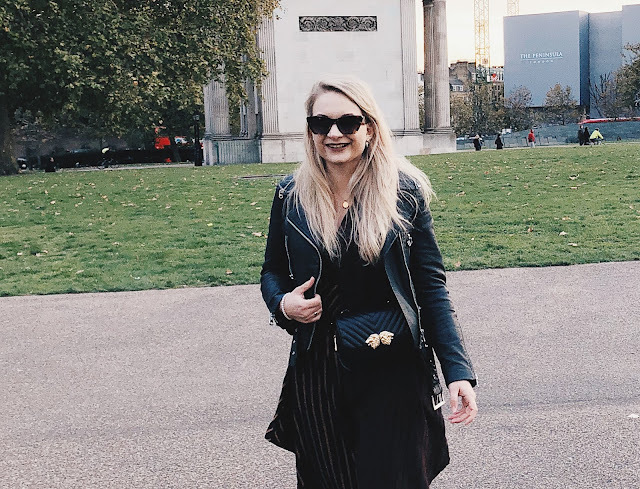 Not long ago I figured that it doesn’t really take much to have a put together wardrobe with lots of options to choose from, simply by combining individual items. The amount of money I spend on clothes has drastically decreased ever since I came to that conclusion. What I have always loved is high quality second hand fashion as well. Thrift shops and vintage stores offer sustainable fashion with a story and find a new home for pieces that have been worn before but haven’t lost their quality. 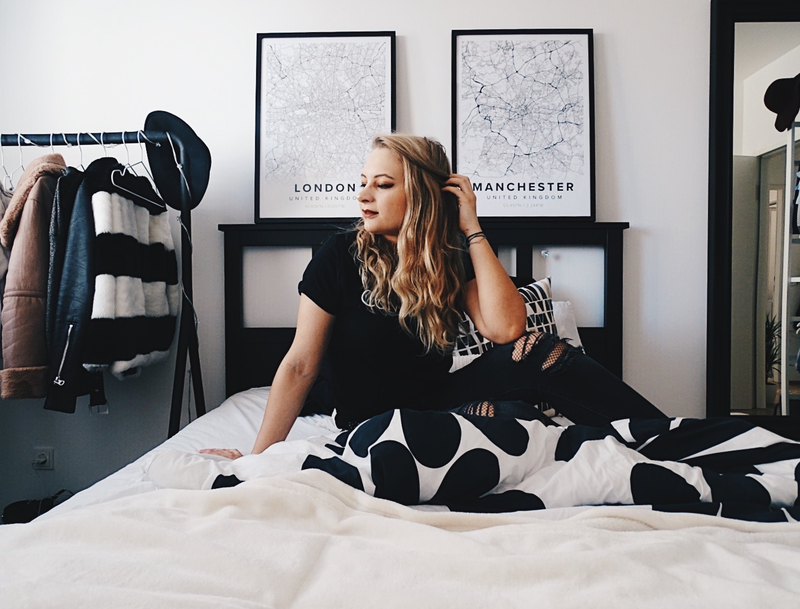 Shopping is fun and I love doing it myself but it is important to do it with every option in mind because that’s what’s saving us time and patience and most importantly - money. The following outfits are entirely put together by things I bought second hand, have had for a while and have spent a lot of time thinking if they were worth buying. Fall is my favourite season, not only because it turns nature into a bright wonderland full of vibrant red and yellow colours but also because fall is the season with infinite possibilities in terms of style. Still having the summer months in the back of our minds, we don't really want to hide the skirts and dresses in the back of our closet for hibernation just yet. Just because it's slightly colder outside that doesn't mean that skirts and dresses can't be worn in fall and winter as well. If combined accurately, skirts and dresses can function as winter gear just as much as long trousers and jeans. 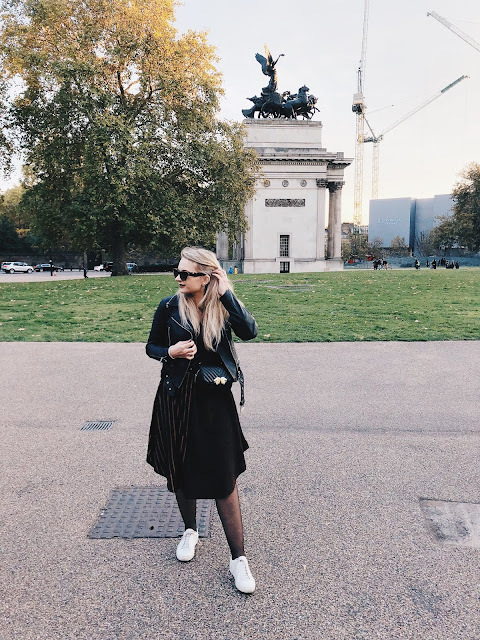 The trend of combining heavy foot wear such as combat boots and sneakers with contrasting items such as skirts and dresses make adjusting the girly look to lower temperatures much easier. Especially in late fall and early winter, when temperatures continuously drop below the 10 degrees Celsius point, accurate foot wear is key, as well as tights that keep out the cold. Probably one of the best inventions for fall and winter time are tights with fleece lining. I am aware that there is a high amount of women out there who find tights annoying, unomfortable and just an over-all nuisance. I, however, have figured that especially these soft, cozy tights which provide additional warmth due to their lining, are a lot more comfortable than the usual see through tights. 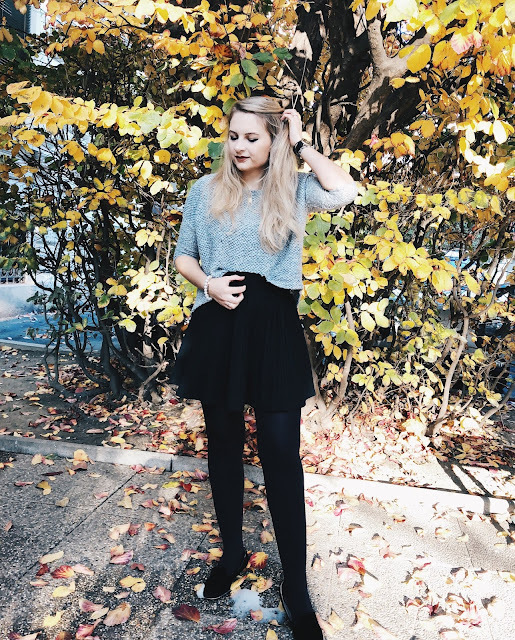 Fleece tights are available at every major high street store such as H&M and Topshop and are rather sturdy and have a high quality/price ratio. Stores like Primark have rather affordable options as well if you're on a budget. 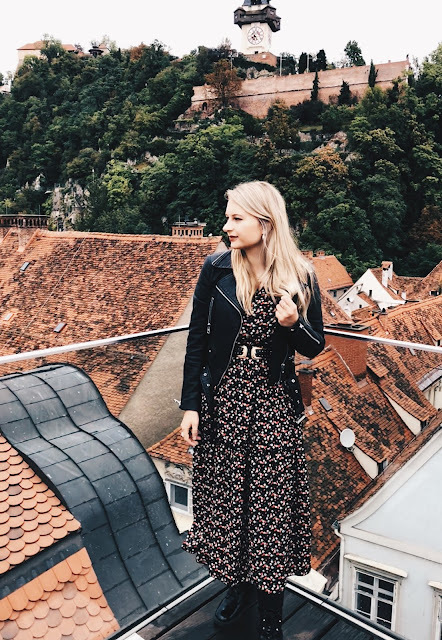 My Fall Guide to Skirts and Dresses. If I had to define my personal style I'd refer to it as casual-chique, as I love outfits which have an elegant twist but are still wearable on an everday basis. Dresses and skirts are amongst my general staple pieces and also incredibly easy to just throw on in the morning for work and other occasions. 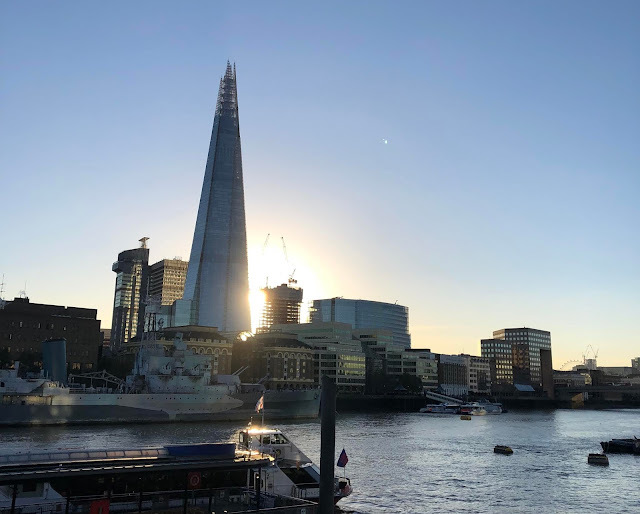 In the last couple years I have been to London on quite a regular basis, either for business or simply to enjoy myself in a city I have considered a second home from the first time I visited back when I was 16. 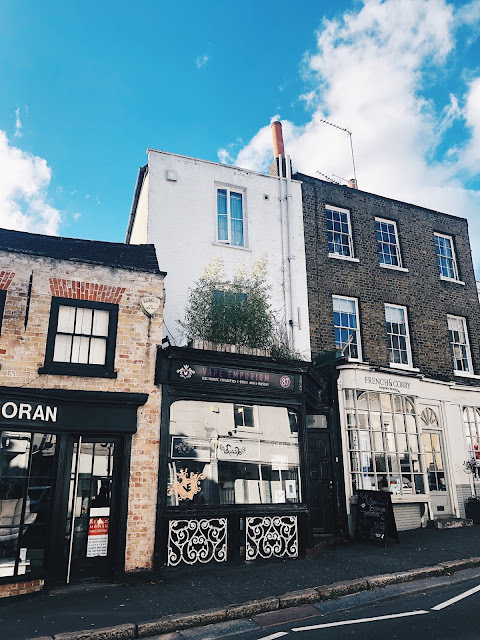 Even though I dare claim that I know London rather well already, I still find myself stumbling upon the most picturesque and breathtaking spots and areas, sometimes hidden in the outskirts of central London, which only make me fall in love with Britain’s capital even more. I almost spent an entire week in London, visiting a dear friend of mine, catching up and reuniting with friends from my time at uni in Manchester. At this point, going to London has stopped feeling like going on holiday, it has more turned into the heartwarming feeling of returning home. 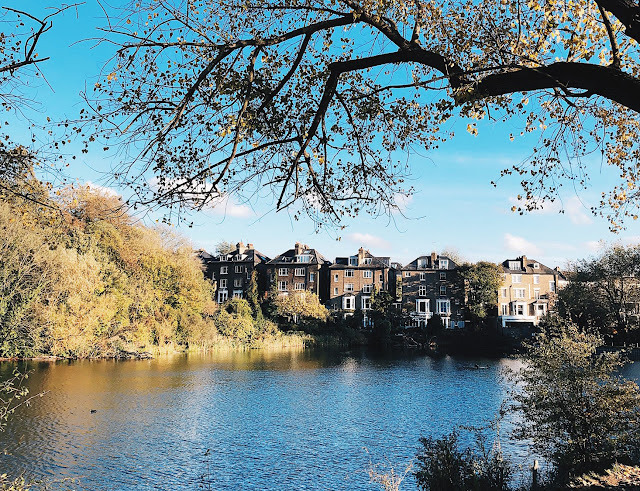 Away from the city centre, further up in the North-West of London, behind Regent’s Park and Primrose Hill, when the tourists fade from the street and cute, small town houses with flower beds and colourful doors line the streets, one enters the the district of Hampstead. Independent cafés, tiny shops and independent creatives call the main streets of the area their home. Taking the Northern Line train to Edgware up north, exiting at Hampstead Station, one enters a picturesque, scenic street full of local life, seemingly far away from the rush of central London. 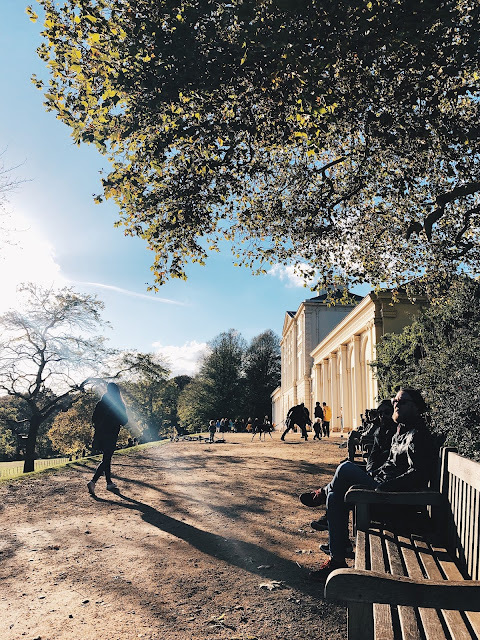 A 20 minute walk away, one will find Kenwood House embedded into Hampstead Heath, which shapes the whole district. As a former stately home, the building once served as a seat for various aristocratic families and still radiates the same heroic charm of past times. (Notting Hill fans will recognise the building because it was featured in the iconic movie from 1999.) 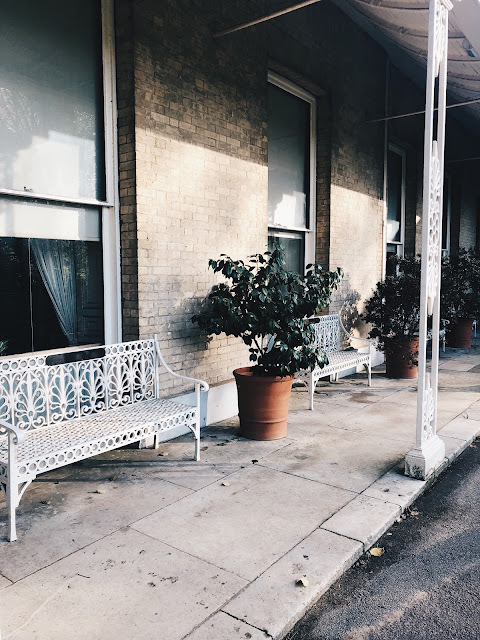 Nowadays one can wander around the gorgeous garden areas and enjoy coffee and cakes at the café at Kenwood House. 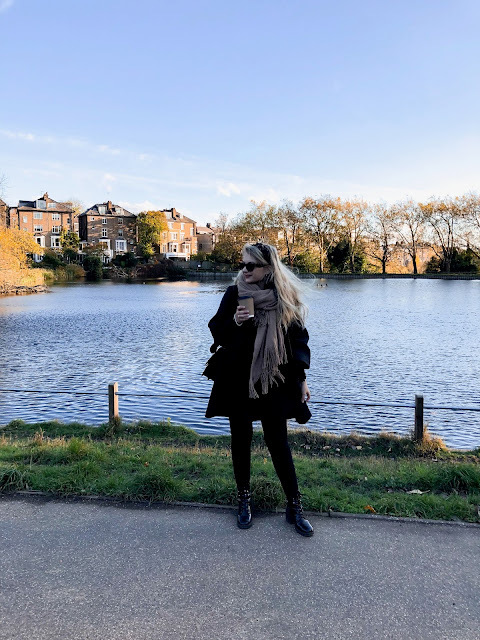 Walking down the Heath you feel entirely detached from the vibrating metropolitan life surrounding the wood and grass fields, opening space for nature and its natural sound. The only reminder of the city spreading around the Heath is the stunning view from one of the hills, overlooking London, with the Shard reaching for the sky in the far distance. Approaching the Heath from the station Hampstead Heath, you will not only find yourself in a gorgeous street with tiny bookstores such as Daunt Books whose employees have genuine passion for the art of literature, you will also find a small pond connecting residential areas to the beauty of the Heath that unfolds up north from that point on. After all those years of visiting London and continuously being astonished by the beauty and rich culture of Britain’s capital, I still end up being mind blown whenever exploring new areas of the city I keep dearest in my heart. The world around us is moving and changing at a fast pace, with barely any time to sit down and really reflect on the things in our daily life that affect us mentally and physically. Every move we make seems to have to be planned and tied to a satisfying result. The modern human does barely let himself have time periods inbetween during which he just cleans his mind from all the negativity and various stress factors occurring on a daily basis. We are constantly pushed into such a tight and stressful routine by not only ourselves but the demands and guidelines we are confronted with by our own society that we often forget that our bodies are not machines that can work on full power mode over a stretched period of time. We tire. We feel poorly. We are capable of emotions and feelings. We aren’t meant to work our way through our lives just to look back at it and realise we didn’t really enjoy the ride at all. Especially during my uni years I realised more than ever how much joy life could bring if one really embraced its opportunities. Balancing hard work, dedication, mental health and social life is a challenge, but manageable - and to be able to maintain a balance, we have to start the journey within our minds. A clear and healthy mind is the base to a human’s general well being. Which is why it is of immense importance that we consciously decide to spend time with no one but ourselves because ‘me time’ is the key to a strong and fierce mindset. I started doing yoga when I first started uni and I thought I needed something other than just average strength and cardio training to really tap my full potential. I figured that in contrast to the training I usually do, yoga would help me find my inner strength and peace that had nothing to do with training muscles really. So I started doing yoga. Not every day, sometimes not even every week, just whenever I felt like I needed to take a step back and give my mind and body a break. I know that some people do yoga every single morning and force it into their routine, but I don’t think the amount of times you do it determines the effect. Mental health and well being is something as individual as the human itself, which is why adopting someone else’s routine can backfire and lead to more stress rather than relieving it. Finding your own perfect routine is key when trying to balance mental health and stressful daily life, which is why listening to body signals is significant to long term success. Whenever I feel down or feel like I need to ease back into feeling mentally and physically strong, I sign up for a yoga class and just let the teachers guide me through the depths of my mind where I know my mental strength lies and I enjoy being around people doing the exact same thing. It is actually incredible how much impact the right words and instructions can have on your personal well being if you really try and let yourself sink into the situation, genuinely embracing it. I am not trying to sugar coat the fact that I myself sometimes end up overworking myself until I feel both mentally and physically drained because let’s keep it real, we all do sometimes. What is important is to not try and push your body further until the breaking point. It is a cliché that yoga classes are boring and a waste of time. It is simply what you make of it and how much you get yourself into the situation. Even if you feel like this type of sport and way to relax your body and mind isn’t for you, you should still give it a chance and at least try. Most yoga studios offer free or reasonably priced trial lessons so you can see for yourself and check out their program and institution without signing up for anything just yet. Especially in Graz but other cities as well free yoga classes are held regularly at various occasions, you will be able to find events like this on social media sites such as Facebook. Don't be biased. Don't be scared. You can't do anything wrong. Just give it a try. Let your mind find its inner peace a bit more, no matter how. 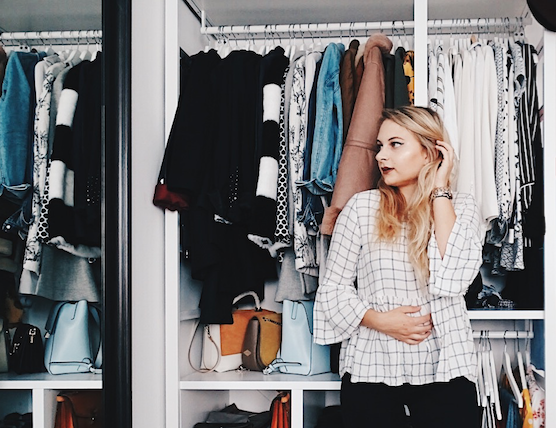 Sorting out one's wardrobe is essential and should be manifested in everyone's schedule at least twice each year. Admittedly, there are definitely things more enjoyable than digging through piles of clothing, trying to decide on what to keep and what to toss. I consider season change the perfect occasion to find out what has been lying deeply hidden in the depths of my drawers for quite some time undeniably collecting dust. Raiding through one's wardrobe is a generally unpleasant piece of work to do but after looking at the finished result you will be glad that you convinced yourself to do it. Not only are you creating new room for new pieces for the upcoming season, you will also be able to either make someone happy by donating your clothes or surprise your bank account by selling the items on flee markets or various second hand clothing websites. When re-adjusting my wardrobe I tend to follow a certain system in order to keep things organised and stay on top of things. Additionally, every unpleasant task is easier to bear when there's music playing in the background which is why I tend to turn up the volume on my record player and jam to my favourite vinyls while categorising my clothes. Generally, I tend to just go through my wardrobe in sections. As I have organised my clothes by colour and purpose, sorting out the pieces I don't necessarifun experience I often invite a friend over to have someone to chat with and debate over whether to keep a piece or not, and when there's a glass of wine or two involved, sorting out clothes doesn't seem like such a bad way of spending your free time anymore. After displaying everything on the bed I usually just categorise the items into three sections: Keep, Toss and Uncertain. Especially in terms of the "Uncertain" pile I always rely on the honest opinions of my friends or my mum (because there's literally not a person more honest than my mum). 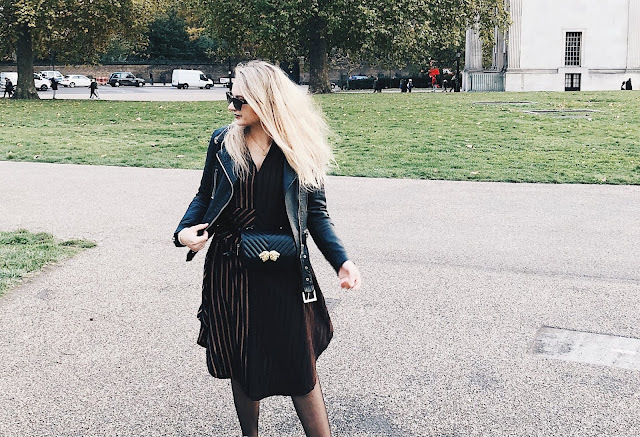 This process is repeated with the rest of the sections in my wardrobe until I have compiled all the clothes that have exceeded their life span in my wardrobe. Obviously, not every tossed item in your wardrobe is worth being sold or donated. When selling items online or on a flee market, it's important that the pieces are reasonably priced and match the condition and quality of it. When donating, it's less important that the pieces are branded or high maintenance, but should always be intact and wearable. I sometimes notice people carelessly throwing ragged, old clothing that is ready for the bin into charity bins and it has me fuming inside every time because just because a person might be dependent of clothes given to charity does not equal them wanting to wear clothes which should rather be recycled and used as cleaning rag. Especially old, worn out and ripped cotton shirts can easily be turned into cleaning wipes by simply cutting them into squares which is what I have done multiple times already. After usage you can simply put the rags into the washing machine and reuse them again. That way you created something new and useful out of old pieces of clothing. I personally love donating my clothes as I often keep my clothes for several years and at some point I am aware that pieces have gone out of style or show signs of usage and just wouldn't be bought if I tried to sell them. When their condition is still fine, I generally drop the clothes off at Second Hand Stores or charity shops that support locals who have low income. That way I can get rid of some pieces in my wardrobe and help people in the process. We are fortunate enough to live in a part of the world that is shaped by general wealth and access to all the important things needed to lead a life without restriction in terms of health care, food supply and material goods. What we aren't allowed to forget and overlook is that even though we live within a thriving economy, wealth always comes with poverty as well. Which is why supporting local charities is highly important to give people a chance to find their way back into society. Donating clothes you don't need anymore but are in good condition might help a family to provide their adolescent children with clothes for school or work experience and job applications. Full Time Jobs and Uni Duties. My Travel Year 2019 - How To Budget Your Holiday.